Senior Kevin Castillo counts his cash prior to a big shopping spree he has planned. At Morton East, students are spending their money rather than saving it. According to CNN Business, “Consumer spending rose more than expected in April (2018) … but people are also saving less.” They stated that the US Commerce Department had reported that “personal expenditures rose by 0.6%.” This is double of what economists had expected. However, as a result of this increase “the saving rate fell to 2.8%,” which can be seen through the statistics from the students at Morton East. From a survey of 110 students, 78 students said they spend money rather than save money, while 32 said the opposite. Some younger students had something to say about saving money. “I feel like saving up money right now is better so you won’t have to worry about money later on in life,” Junior Joel Cruz said. “I want to start saving right now so, later on, I could help my parents with bills, pay for my own things, and also save money up for college,” senior Vannity Bahena said. Others had a different opinion. “I mean, I work so I don’t really have to worry about saving up money for right now,” senior Steven Vallejo said. 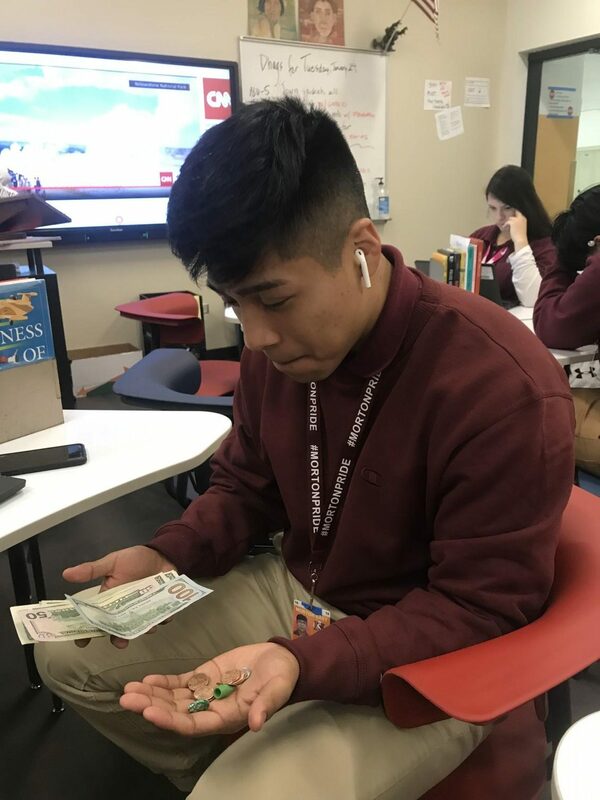 “I really don’t have to worry about money right now; my parents always got me with money,” freshman Jorge Castillo said. However, some very important words were said to keep the students alert about their money spending. “The kids here should really start to save money up before it’s too late, you never know what can happen so it’s better to be safe than sorry,” College Center Coordinator Ms. Marisol Avila said. I agree that students should start saving their money for college because sooner or later college is going to be around the counter. Although parents can pay for whatever their child want, their probably not going to want pay for tuition for every semester. Plus its never to early to start saving since it will only benefit you with having backup money or being able to assist your parents in times of need.